Amid dwindling newsrooms and attacks on “fake news,” journalism appears to be at a low point. But a savior is in sight. The rapid emergence of blockchain technology has the potential to rid the profession of the curse of the “post-truth” era, and to purge the notion of fake news from the media landscape. The unique properties of blockchain technology may be utilized to fix the business model that digital publishing effectively broke. The root cause of today’s media crisis is the collapse of the traditional business model of news publishing. The delicate balance between publishers, advertisers and readers that sustained good journalism throughout the 20th century has been disrupted by the World Wide Web. Reader behavior changed first. The seemingly infinite amount of available content lowered the perceived value of online news. As far back as 2010, a study conducted by the Pew Research Center showed that only 19 percent of readers were willing to pay to access news online. In reaction, publishers turned to advertisers. But even there, revenue opportunities got thin as search engines and social networks expanded. Today, out of every dollar spent on digital advertising, Google and Facebook account for 80 cents. The remaining change is what publishers are competing for. This shortage led to the emergence of “clickbait” journalism. Publishers were no longer incentivized to produce must-read material that would keep readers subscribing and coming back for more. Generating ad impressions became the primary focus. So the focus became producing disposable, “must-click” material. The media landscape became the perfect environment for sensationalism to flourish and credibility and ethics to decline. Declining revenues and standards have pushed high-quality investigative and local journalism — which are of greatest service to the public — to the brink of irrelevance. Blockchain technologies have the potential to change that. Blockchain technology is a cryptographic database technology that can be used to maintain ultra-secure and permanent transaction ledgers. The most promising property of blockchains is that they make it possible to conduct financial transactions without requiring a third-party guarantor. Applied to media and journalism, blockchains can circumvent the traditional mechanics of news publishing. An innovator in this field is a startup called Civil, which aims to build a blockchain-based marketplace that will connect journalists directly with readers, keeping both publishers and advertisers out of the equation and thus eliminating the destructive incentives that plague the current system. With blockchain transactions, no third party is needed to regulate the relationship between readers and journalists. This means that reader interest can dictate news coverage (instead of publisher interest, which can be dictated by the desires of advertisers and corporate backers). A blockchain-powered marketplace will allow citizens to group their resources (even anonymously) and vote with their wallets to determine which content is in high demand and newsworthy. Not only does this work on a global level, but perhaps even more importantly, locally as well. One of the biggest flaws of the current media ecosystem is the decline of local journalism. Today, only 10 cities in the U.S. have two or more daily newspapers, compared to 500 at the beginning of the 20th century. Newsrooms powered by blockchain micropayments, Civil claims, have the potential to reinvigorate local journalism. Readers will be able to support journalists on the street, those who have local knowledge and direct access to even the smallest development in a progressing story. 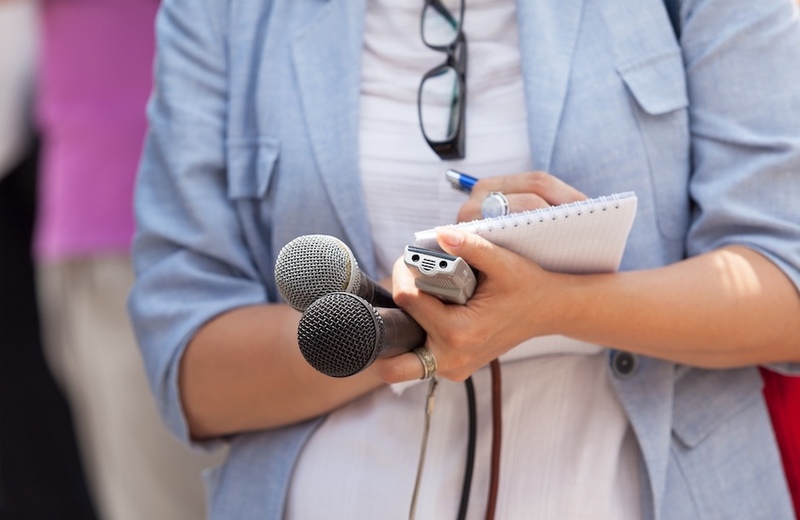 Local coverage is what brings nuance and subtlety to a media scene increasingly dominated by expert pundits who can get away with sweeping generalizations. Wishful Thinking or Viable Rescue? The application of blockchains to journalism is promising and exciting. It is worth keeping in mind, though, that blockchain technology currently has more promise than it does an actual track record. Meanwhile, however, blockchain industry pioneer Nick Szabo estimated that we are 10 years away from seeing the practical application of the technology in the mainstream. In the meantime, readers can seek protection from sensationalist and superficial journalism by hiding behind paywalls offered by reputable publications. As a rule of thumb, whenever you consume content that’s free, it means that you yourself are the product being sold to advertisers.